THIS COMPETITION IS NOW CLOSED! THANKS TO EVERYONE WHO ENTERED FOR SHARING YOUR FAB TRAVEL STORIES! Travelling with kids this summer? Want to pack less stuff? Of course you do! So when founder of Henry and Brothers (and busy mum-of-three) Jennie Peterson Yu got in touch to tell me about her fab range of travel-friendly children’s blankets, I was all ears. 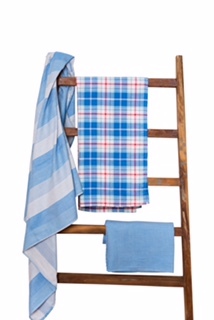 Henry and Brothers’ beautifully soft cotton travel blankets come with a clever loops and ties at each corner, making them easy to secure to strollers and car seats for shades on the go. They’re also perfect plane comforters, picnic seating, and their lightweight, breathable fabric makes them ideal bedding for warm-weather holiday destinations too. 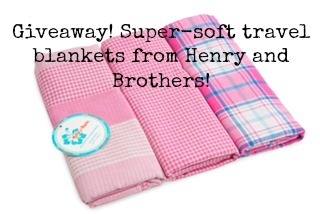 As this blog is a DESIGNATED PASTEL BUNNY-FREE ZONE, I also really like the fact that Henry and Brothers’ designs are simple stripes in bright colours, meaning that I could see my boys slinging them over their beds long after they’ve grown out of the “blankie” stage. 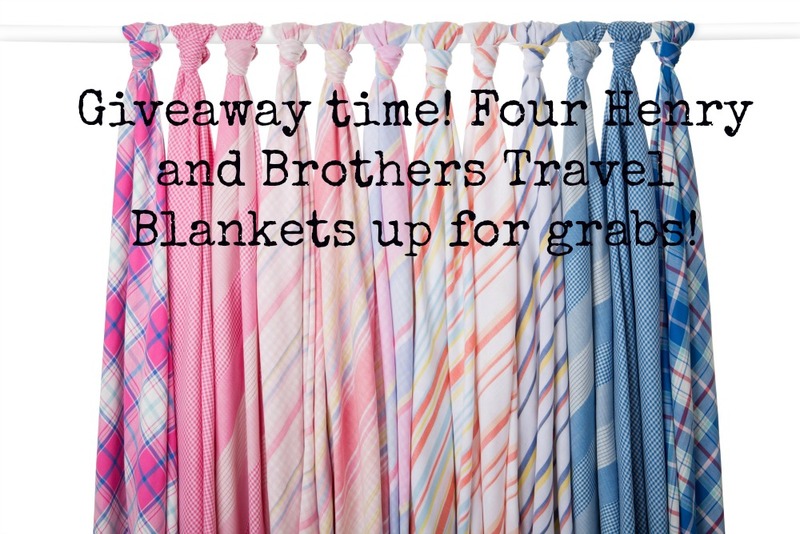 Happily, Jennie was kind enough to offer her fab travel blankets – two pink and two blue – to four lucky Accidental Tai-Tai readers! To be in it to win it, just tell me below where you’d like to take your blanket travelling this summer, and which colour you’d prefer if you win. I’ll be picking the four winners with the best travel tales on Monday 13th June! So be creative… and good luck!